Customise and give a playful new attitude to any bag. Double metallic clip can be attached to handles and shoulder strap hooks. Bejewelled hands at each end to embrace your bag. 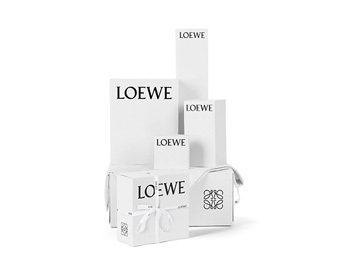 Key features: crafted from Classic Calfskin, tonal Calfskin jewels incrustations on the hands, Black hand-painted edges, LOEWE branding embossed to tone, hardware: Gold.